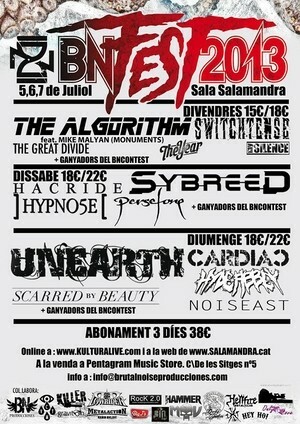 The Algorithm, Switchtense, The Great Divide, The Year y My Silence. Sybreed, Hacride, Hypnose y Persefone. Unearth, Cardiac, Scarred by Beauty, Hyde Abbey y Noiseast. El precio para los tres días es de 38€.